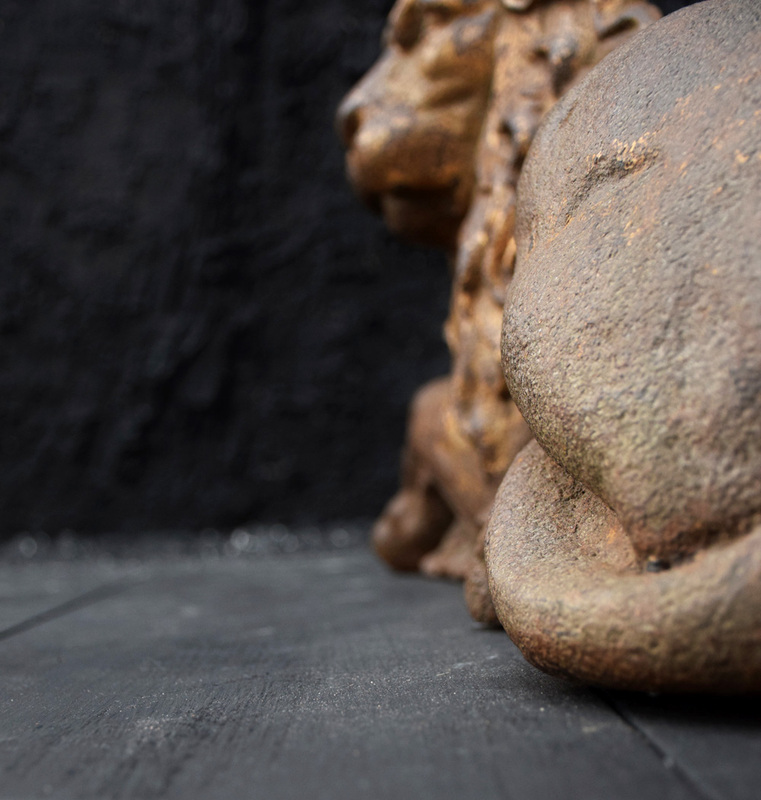 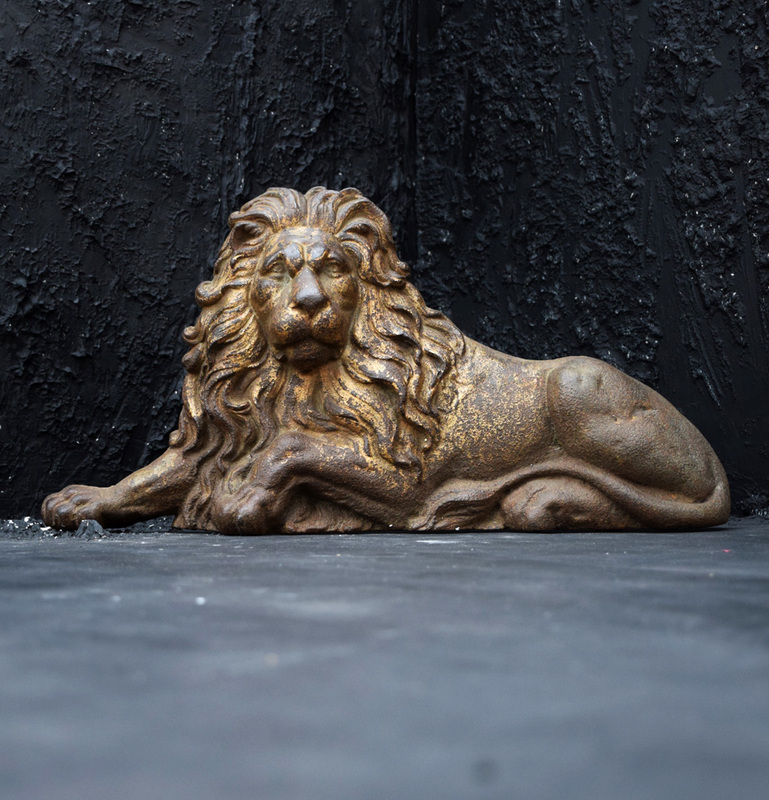 For sale in this LOT is a rare 19th Century cast iron lion doorstop, this wonderful decorative Victorian cast iron flat back reclining lion example is an elegant doorstop, probably after the magnificent original bronze pair by Sir Edwin Landseer displayed in Trafalgar Square. 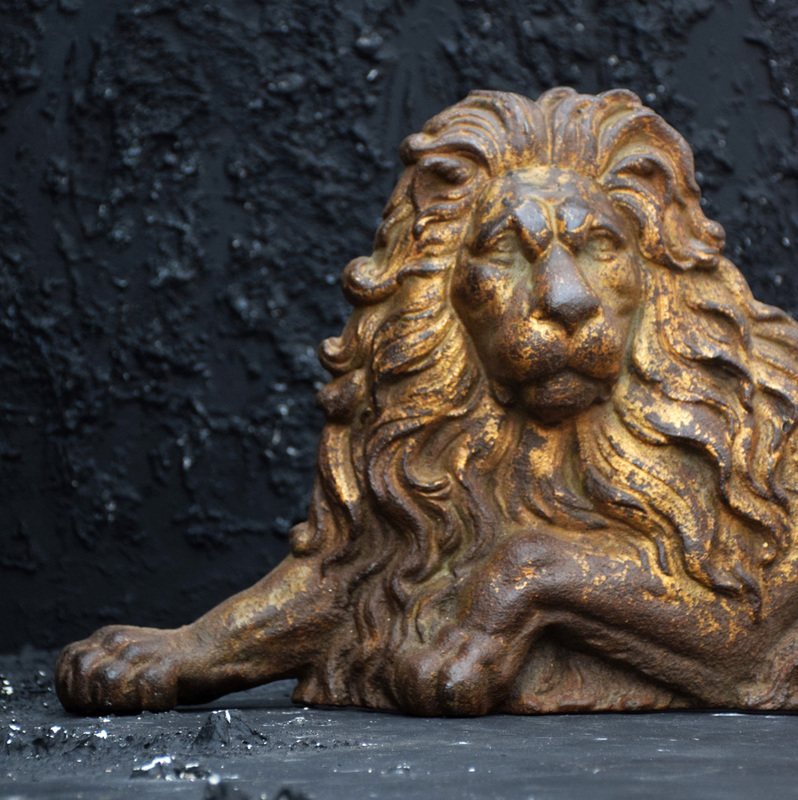 The lion presents very realistic carved detail such as the muscles, paws and mane, its original gold gild patina is very appealing and resembles a true lion’s mane visually (The item would have originally been completely covered in gold gilt paint, but over the years this has worn away. 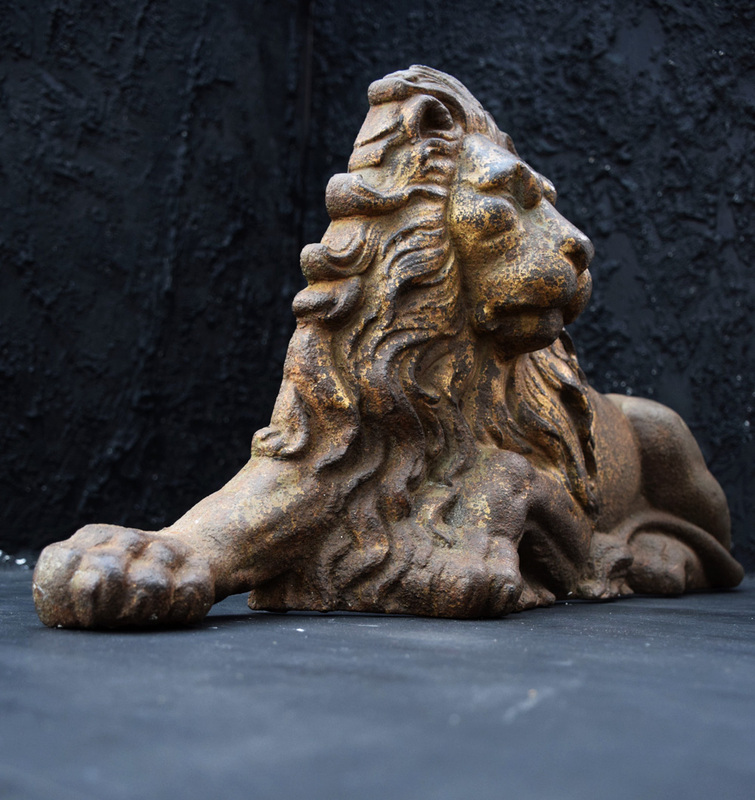 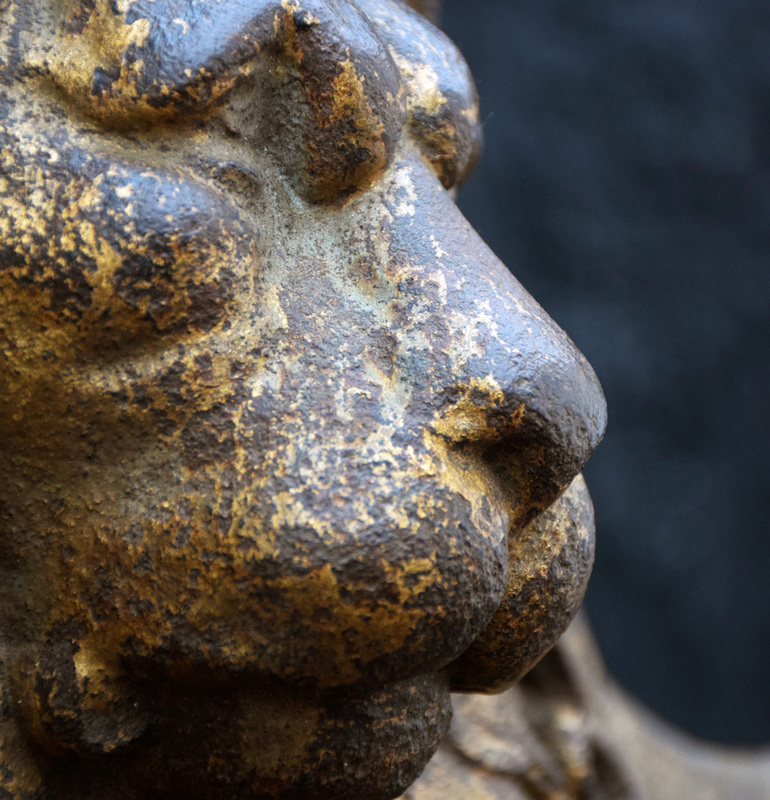 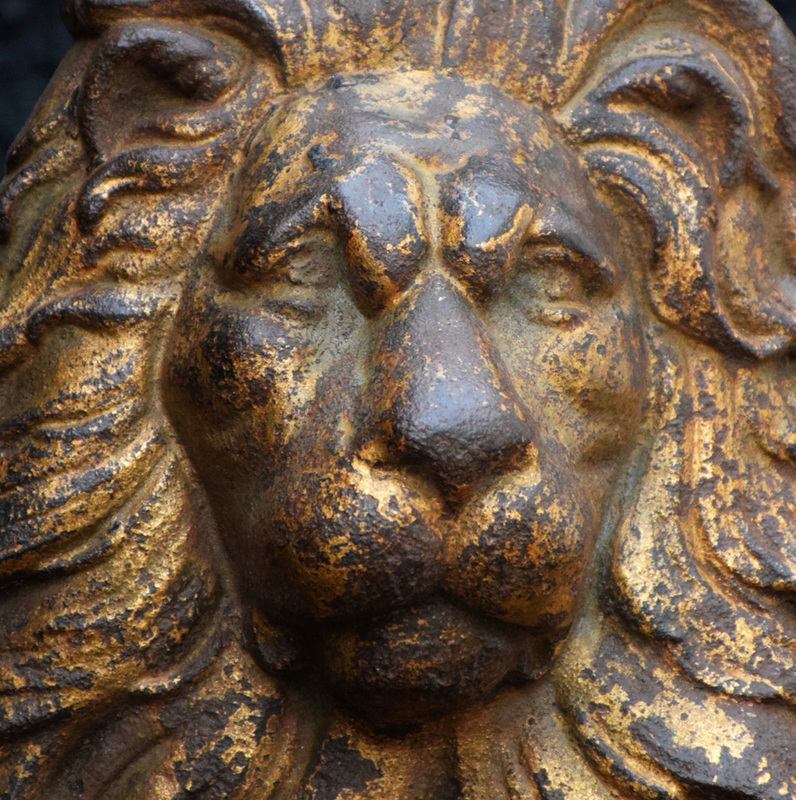 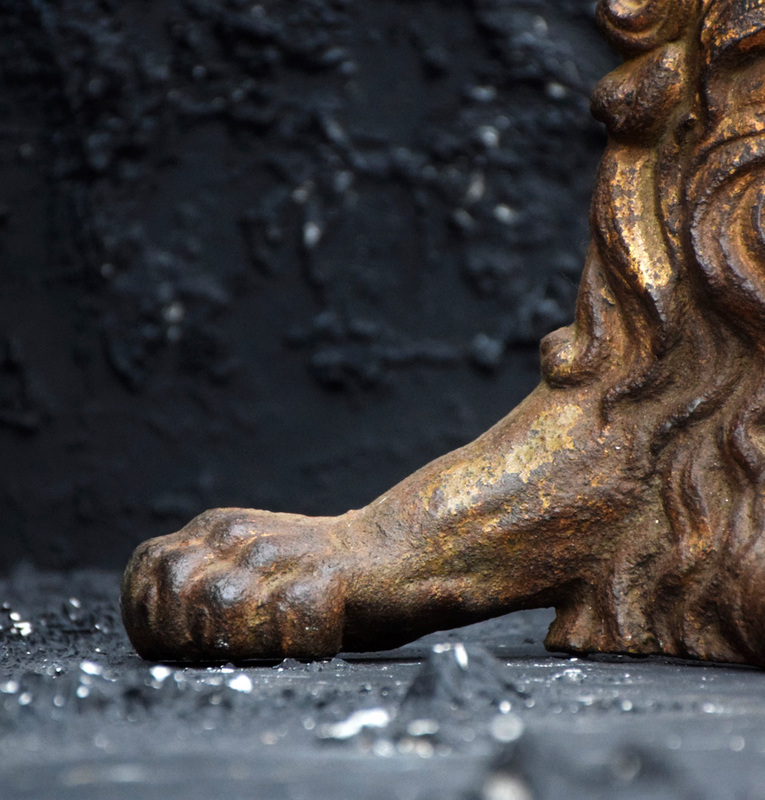 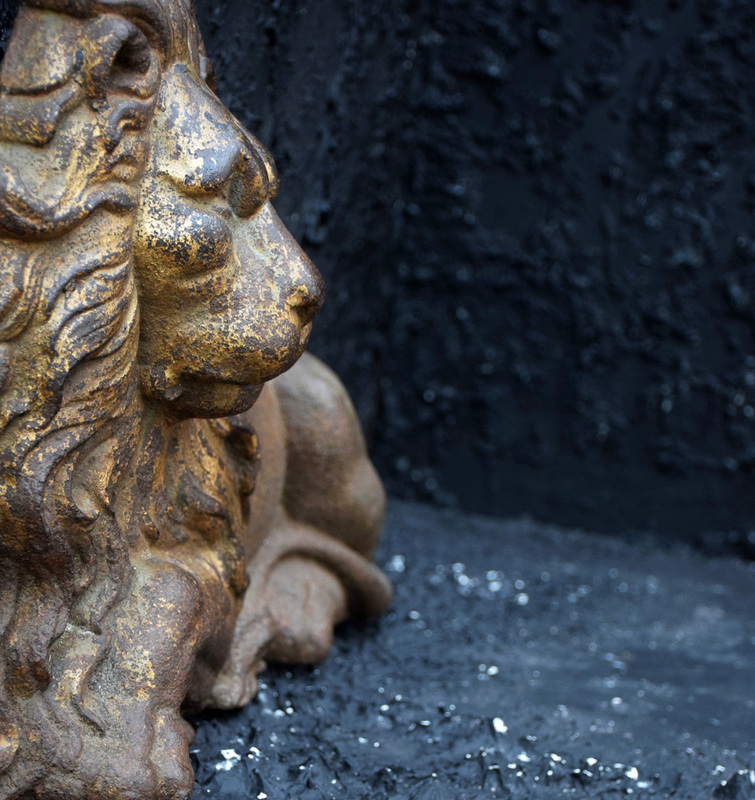 Door stops evolved from a stray brick to genuine art forms during the Victorian era, this lion is a wonderful example of this fact. 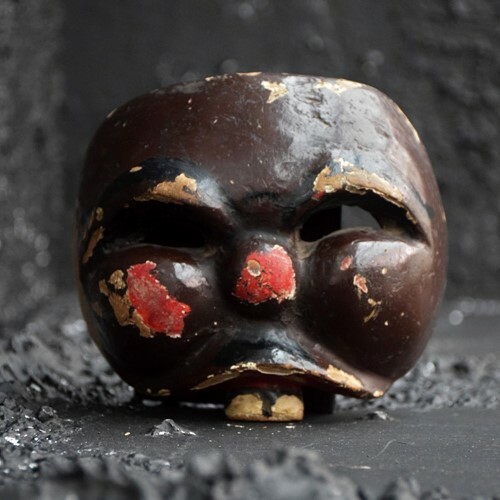 Condition: This item is dated 19th Century so expect wear and tear in the form of loss of color, light scuffs across the surface, small scratches. 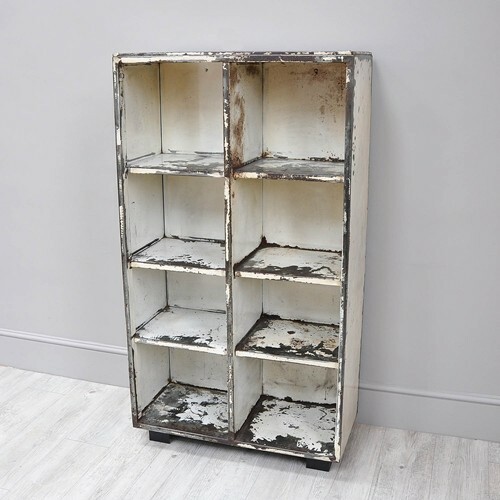 The item is completely structurally secure but it’s strongly suggested to review all the photos provided as part of this advert.